This is Survey Spain’s 19th Quarterly Report. We have kept it brief and specifically relevant to the locations where we are aware that the majority of our readers are interested in. Section II – The Market in Individual Municipalities and Areas. The report is that new build villas are selling well, valued at 3 – 5 million € euro, with a number selling off plan. However, older resale property is ‘sticky’ and valued at 1 – 2 million € euro or less. Apartments are moving. There appears to be a resignation that Brexit is going to happen, but that the final deal worked out between Spain and UK/Gibraltar, could possibly improve the economy of the area as a whole, not penalise Gibraltar and perhaps even make the border crossing more fluid. The market has been very active, picking up from a lower level of valuation. 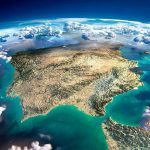 The agency commenting specialises in country property in these areas and finds that the activity is mostly in the 400,000€ euro to 1,000,000€ euro range. 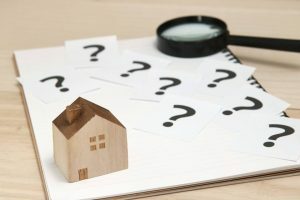 Sellers are becoming more realistic in accepting actual market valuations, though it was stated that some locals tended to be more difficult to persuade to reduce their prices to obtain interest. The market is buoyant, benefitting from the proximity to Marbella, which is still suffering from it’s planning ‘limbo’. This includes the resale market where the property is largely bought by occupiers and not just as an investment. There is a huge amount of property under construction and going through the planning processes in both these Municipalities. That market is buoyed by the somewhat irrational demand for above market value new property, both flats and villas, whilst comparable resale properties are available at discounts on the new builds of up to 30% or more. As soon as a new build is bought, it becomes a potential resale and it will be interesting to see how the buyers are able to cope with the lower level of value they will have to accept. Interestingly, the comment here is that the market is going ‘sideways’. Prices are being raised to unrealistic levels by sellers and agents desperate to obtain property to list. The eventual sale is normally achieved only after a lengthy period of gradual price reduction. However, there is constant demand for the best locations, with the fewer number of new builds, held back by the year or more to obtain permissions, not ‘creaming off’ the top of the market. At the moment, lots of agents say it’s a funny market, but what is selling is really cheap stuff or top of the range, which there’s always a market for. Having said that, a developer client is selling apartments well in La Cala and they are not cheap. Builders are also saying it’s a funny market, but, although there’s lots for sale, the new builds are still filling every free piece of land, in particular, around Marbella. The market here remains much the same, with an oversupply of most property types, meaning that values at best are remaining constant. This is the area of Costa del Sol where we are finding comparable market valuations to be showing reductions in value continuing. Whilst the market has been “OK this year”, in Nerja and the coastal area “it has not been as good as last year.” There is a great variety of nationalities buying, with some ‘typical’ differences and concentrations due to preference, such as to be able to talk with neighbours, etc, in their own language. The Belgians and French tend towards larger villas in the 300,000 to 600,000€ euro range. The Scandinavians are in the 200,000 to 400,000€ euro range and the property must have spectacular S or SW views. The Danes and Dutch tend to lower value properties in the 150,000 to 250,000€ euro range. For properties lower than those ranges there is a mix of buyers seeking bargains. The majority of sellers are British, which along with an increasing hesitancy by Irish and other economies closely related to the UK economy, are definitely showing the effects of pending Brexit. Previously, that has only really affected the British due to the currency drops. The economies of the home countries also play their part, such as the Swedes becoming more reluctant and unable to obtain mortgage finance at home due to the potential property value bubble there. Values are rising principally due to a shortage of property. There are fewer people looking for the really big properties, new build tends to get snapped up quickly and often by a majority of one nationality where the property has been most intensively marketed. There has been a steady interest in buy-to-rent, although the recent new regulations are beginning to slow that as net income is less certain. Inland, the Regularisation of properties through the DAFO process is helping to ease the market, but with most buyers, except the most naïve, being extremely cautious, though still swept along by the romance of owning a small finca in the Spanish countryside. The recovery continues in all areas and prices, some more than others, but no sign of a slowdown. It all seems to boil down to two old sayings – ‘location, location, location’ and ‘supply and demand’! The ‘Brexit effect’ is not really noticeable, other than the value of the Pound Sterling affecting offers made, but these are now largely down to no more than a 10% discount on asking price. There is very little new construction in Mojácar, with a little more further up the coast. The problem being that new developments are still not viable, with there being so much property still hanging over the market that sale prices have not risen sufficiently. All the solicitors in the area are overloaded with work. The 3rd quarter after the holidays was a good one and everything looks like the 4th will be similar. Detached houses are the main interest of buyers. From 100.000€ to 350.000€. Buyers are tending to pay close to the asking price, but to put pressure on the ancillary costs such as agents commission and professional fees. However, there are always reductions, but not more than 10%/15% on the sales prices. I don´t see new construction. Only a very few units on the coast. Market sentiment is very similar to the beginning of the summer, but more agents are commenting on lack of supply, which again is an impetus for potential price rises, but there is no evidence of significant rises to date. Again, some agents are reporting offers at market prices in prime locations, but generally offers are between 5-10% below asking price. There is a more mixed reaction for UK buyers to the Brexit deadline, with agents in some areas now reporting significantly fewer enquiries and sales to UK clients. There are definitely fewer bank properties available, which without doubt means at least slight increases in values. But there are still some properties being held back from sale, usually in blocks, which may form part of the bulk portfolios now changing hands. Whether this decrease in bank properties being sold by itself reduces stock enough to tighten the market, I’m not sure, maybe in specific locations? I’m more inclined to look at worsening economic circumstances (in the UK, Europe and globally) reducing financial optimism and therefore major decisions to move house/country etc are more likely to be postponed. A busy 3 months with a lot of activity in Mallorca, Ibiza and Formentera. Menorca quieter than usual. Prices seem to be holding firm. Projects and renovations remain popular. Recently imposed increased restrictions on holiday rental licence has led to more apartments on the market. New residential buildings in Barcelona city are thought to be close to maximum price. They are not expected to go up much more and they are beginning to sell fewer units. Many investors have already bought, and for new ones the prices are high due to increasing construction costs, so there is not much profit from the investment. The investor profile was mainly companies, and new families with good incomes, but they have already bought, and now normal families can’t buy because the prices are too high. This situation has also happened on Costa Brava and prime areas of the coast. The profile was investors, with many from outside the EU, mainly from Russia, China, Arabia and the Gulf States, but they have already bought and so there are not many new clients coming at the moment. The used homes values are growing too in these areas, but already have slowed because they are getting close to new building values. Maybe in Barcelona they are still growing, because there are a limited supply of classic buildings and not impersonal new apartments. After updating, they achieve higher prices than new buildings. That only happens in Barcelona and a few other traditional prime areas. In the rest of the areas or surroundings, they don’t warrant this investment, because classic buildings have a low quality and are in poorer areas. Prime clients that can pay high prices, don’t go to these locations. In the surroundings of Barcelona (Area Metropolitana), new residential buildings still can grow 5%-10%, with buyer profiles of medium incomes who can’t buy in Barcelona, and some locals, but not many, because their limited incomes. In prime new locations, like the coast of Badalona, Sant Adria Besos or Castelldefels, it is possible to build a “prime” development on the seafront. Investor demand dropping, prices too high for real occupiers, but construction proceeding anyway! I repeat what was stated last quarter. There is a general concern, and memory, amongst agents that we are seeing a continuation of the previous boom-to-bust cycle. There appears to be no overall discipline of development, with Municipalities granting permissions as long as they comply with planning and building regulation, but with no thought to the requirements of the resident market numbers. That’s a result of the principal income of Municipalities being property licence and tax based, so of course the politicians want to maximise income so that they can spend on behalf of their constituents, especially with local elections being due in May 2019. For more information visit our website Survey Spain.